I was so excited when the lovely Jenny at Artesano Yarns agreed to an interview that I did a little happy dance! I approached Jenny because I’m a huge Artesano fan, having turned to their fantastic yarns for a number of special projects in the past, and I continue to use them regularly. I’ve been using Artesano’s 4ply Alpaca Silk for this Tunisian stitch sampler project – it’s love. Artesano have kindly agreed to offer my readers an exclusive 10% discount to try their yarns out – to claim your discount, simply visit http://www.artesanoyarns.co.uk and enter the code elsiepop10 at check out. The 10% discount code is valid until 13th June 2015. 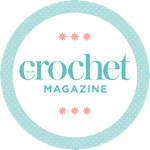 If you are a knitter or a crocheter, I honestly can’t recommend these yarns highly enough – do check them out, you won’t be disappointed. First off – could you give me a potted history of how Artesano started, and how you have got to where you are today? Artesano Yarns began in 2003. Tom (my husband) has family in Bolivia and they looked at different products that could be imported from there. Bolivia is famous for Cocaine, Alpaca Yarn and Quinoa and that’s about it. We started off importing finished goods in alpaca, ponchos, cardigans, hats, scarves, but this soon evolved into selling alpaca yarn to knitting stores. Natural yarns really started to take off around that time and the business grew, but we were soon hit by rising prices and many of our products doubled in price within 12 months. We had to rethink the business in February of this year and we changed to retail only. This means that we can now provide our customers with luxury natural fibre yarns at affordable prices. What is the best part of running a yarn company for you? Being so close to the product. I run a friendly knitting club called knit and natter at the local pub in Three Mile Cross in the UK. It’s lovely to be able to show people the products and get their thoughts on it. We have a constant stream of delicious samples of all kinds of wool and yarn coming through the office. What happens on your typical work day? My day starts with sorting the orders that have come in overnight. I book the couriers for the parcels then get packing! As more orders come in during the day they get packed and booked out. Any knitting related questions get answered or if it is beyond me I pass to our lovely tech editor to answer them. I normally start early (5am is not that unusual) as I leave in time to get our daughter from school. One of the benefits of having our own business is having quality time to spend with her as she grows up. What is your favourite Artesano yarn to work with and why? Such a hard question – it depends on what I am knitting at the time as every one is my favourite – but I really love the Alpaca Heather. It is a blend of alpaca and highland wool – the same blend as our Aran (which I also love). It is a standard DK weight, and comes in a range of 8 colours that are all slightly heathered. I am using the Stone colour just now to make a great cabled cardigan – Grandpa by Joji Locatelli. The yarn is showing the stitches and cables really well and I can’t wait to finish and wear it. The neutral colour will mean that this will be a staple every day cardi. I know from using the Artesano Aran that it will wash and wear beautifully too! How do you source your raw materials? Our merino superwash is South American which is non-mulesed, it is incredible soft and robust. The merino superwash in dark teal – I have this yarn in another colour and it’s SO. SOFT. We sell a lot of very good quality alpaca which is sourced from Peru (the best in the world in our opinion). Our silk comes from Japan and is mulberry silk. When you’re planning a new line of yarns, what is the process you follow to choose the blend of fibres, the colour range etc? We work very closely with the suppliers. We look at the marketing for the product first – who is it for, who will want to knit it, what weight and spin should it be. We then look at the price that we think that section of the market would want to pay for the yarn. Thinner (longer) yarns like 4ply, lace weight wool etc can afford to have a higher amount of luxurious fibre within them. Lace yarns tend to have a lot of silk. DK (Double Knit wools and yarns), often need a little wool blended with them to give them some loftiness, but our 100% pure alpaca is also a great product. The thicker the yarn, the lower the cost as our knitters need more of it! Colour ranges are also picked according to the range. It depends what purposes it will be used for. Sweater yarns might use more muted colours, such as our alpaca heather DK (Double Knit) or our Definition sock yarn has some really vibrant funky sock and accessory colours. When you aren’t busy running Artesano, how do you relax? We are lucky enough to live in the Hampshire countryside, so have the opportunity to do lots of walking. That will include foraging for berries and then making delicious jams, cordials and pickles. I have noticed the elderflowers this last week so cordials will be made very soon. We have animals, including a dog, two cats, chickens, ferrets and guinea pigs – and a hive of bees! Then knitting is high on my list of things to do and I have recently taken up sewing. I do try to fit in reading too, but the days are never quite long enough! Is there one project you’ve seen online using Artesano yarns that made you say “wow”? Must add sock knitting to my list of things to do! I absolutely love all the alpaca yarns I’ve tried from your range – and I’m sure they’re softer than other alpaca yarns I’ve used before – what’s your secret? The secret is Peru! Alpacas come from the high plains of Peru where they have their natural diet and high altitude. The fibre is so good there. It is sorted entirely by hand and by feel and touch. Did you know that baby alpaca and superfine alpaca and the more coarse alpacas, all come from the same clipping? They are just separated by the feel of the fibre and this is done with incredible accuracy that cannot really be replicated by a machine. Yes, we love Mushy Peas although we did discover that it sounds like something very rude in German. The lovely Mushy Peas yarn – wonder what it means in German?! We used to pick our names by themes, fairy names, countries etc. The problem is that these can become more and more tenuous as we start to run out of ideas. We now look at the colours and then let our imaginations run wild. The names be lean towards the type of feeling that we want for that brand, so Definition sock yarn is a bit more funky and has fun names like Kidney Bean, Mushy Peas, Perky, Cream Cake and Crocodile. Alpaca Heather is a bit more down to earth with Moss, Malt, Stone, Charcoal. I enjoy naming hand-painted and variegated yarns, such as our hand painted lace which has some fun colour combinations like Bonfire, Mermaid, St Clements (Oranges and Lemons said the Bells of St Clements, goes the nursery rhyme). What is your favourite thing to knit or crochet? I love doing cardigans and jumpers but hate sewing them up – so seamless it is for me. As all knitters I like to have more one project on the go at any time – so that would normally be a cardigan or jumper for me, something for Lucy (our 8 year old daughter) – usually a cardigan or jumper, and then a shawl or other smaller project. I am currently loving cables and also enjoy simple lace patterns. You can never have too many projects, just not enough hours! What does the future of Artesano yarns look like? We want to continue to sell good quality, natural affordable knitting yarns and wool, so that knitters and crocheters can enjoy their crafts using good quality materials. Thanks again for the interview Jenny – I’m off to look at what Mushy Peas means in German… can anyone enlighten me in the comments? p.s. Don’t forget to use your discount code! Simply visit the Artesano yarns website before 13th June 2015 and enter elsiepop10 at checkout for 10% off your order! Thanks so much for the great interview – very interesting. I also love the piece you’re doing in the Tunisian stitch. I haven’t tried it because it looks so intricate. Your sampler is just beautiful – love the colors. Thanks for a sharing such a lovely interview Elsie, up till now I’ve not paid much attention to the yarns I use, but I am now thinking I might have to try out Artesano yarns for myself. What a great interview! Going over to their website now to check out some yarn!! Wow, great yarns. I love the naming process.